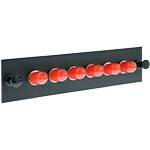 This blank unloaded panel houses MTRJ or LC connectors with six empty slots available. This blank unloaded panel houses SC connectors with six empty slots available. 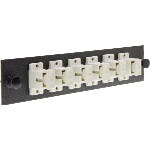 With a nice clean appearance, this fiber adapter panel includes 6 LC duplex adapters with ceramic ferrules. Specifically designed for multimode configurations, this LC fiber adapter panel fits onto any compatible fiber enclosures. 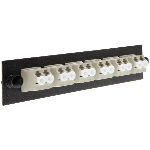 Constructed with a durable steel construction, these SC fiber adapter panels work with singlemode connectors only. 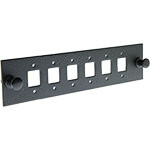 This SC multimode fiber adapter panel includes push pins on both ends which provide a sturdy connection onto the fiber enclosures. 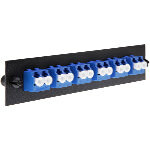 Made for any multimode ST connectors, these fiber adapter panels come with 6 positions for 6 fibers.